Since When your Orange County skin care needs require high-quality, non-prescription strength products, your dermatologist in Irvine, Dr. Charles Sexton, relies upon the skin care products from Dermatologic Cosmetic Laboratories (DCL). As the leader in the most up-to-date skin care technology, DCL offers products that are superior and that set industry standards, which is why they are so willingly utilized by your Laguna Beach dermatologist. DCL was the first skin and hair care company to utilize Alpha Hydroxy Acids (AHA) and continues to use AHA in their skin and hair care gels, lotions, and creams. DCL has led the industry for over 20 years and continues to work in close connection with dermatologists across the country to develop the most state-of-the-art products using the highest quality ingredients. 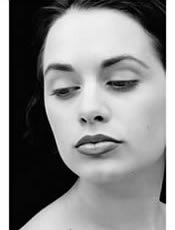 If you are looking for a Newport Beach or Costa Mesa dermatologist to recommended anti-aging cream, Dr. Sexton, your Irvine Beach dermatology expert, can treat you with Dermatologic Cosmetic Laboratories' Anti-Aging System. This system has consistently been shown to reduce fine lines and wrinkles, improve pigmentation, and help with skin clarity and texture. Used in combination, various products in the DCL system can work synergistically to provide effective skin care in just 30 days. Its efficient effectiveness is what makes it such a popular system among providers of skin care in Laguna Beach, including Dr. Sexton. Of course, one of the best ways to protect your skin from wrinkles, lines, and the damaging effects of the sun is to apply protection from the sun every day. 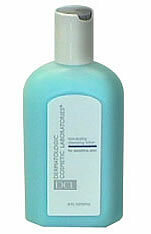 DCL offers skin protection that is water-resistant with an SPF of 30+. In addition, the protection has been enhanced with vitamin E, as well as aloe, to help moisturize and soothe exposed skin. Skin protection from Dermatologic Cosmetic Laboratories offers complete UVA and UVB protection. If you have thick, rough, dried out skin, this acid-based, medium potency, glycolic cream can provide relief. For dry, thickened skin, this acid-based cream provides a higher potency of DCL's glycolic formula to bring relief. For patients with dry, damaged, or sensitive skin, DCL has a special cleanser free of soap that is specially designed to clean without irritating the skin or drying it out. Whether you have puffiness, fine lines, dark circles, or dryness about your eyes, DCL's Eye Refining Matrix will reduce the effects. By utilizing the healing benefits of vitamin C, arnica extract, green tea, pentacare, and hyaluronic acid, this product can address all of your eye area concerns. With an incredibly powerful dose of hyaluronic acid and a triple seaweed blend, this serum enhances cell turnover, increases metabolic activity and cell oxygenation, and serves as an ultra moisturizer. Willow herb extract helps to prevent irritation in this powerful SPF 20 broad spectrum protection morning-use moisturizer. Use this infusion of vitamin E, A, and C for the triple antioxidant boost you need for collagen synthesis and the minimizing of fine skin lines. This skin protector provides complete protection from UVA/UVB rays in a water-resistant, antioxidant-rich formula. Soothing and moisturizing, thanks to Vitamin E, Aloe Powder, Panthenol, and Allantoin, it can be used all day long. To find out which DCL products would best benefit your skin, contact the dermatology practice of Dr. Charles Sexton at 949.679.6900 to schedule a consultation. Dr. Sexton uses only DCL products due to the company's commitment to quality and proven effectiveness. You may also make an appointment with Dr. Sexton online. DCL Anti-Aging System is clinically proven to dramatically improve the most visible signs of aging including fine lines & wrinkles, pigmentation, skin clarity & texture and sun damage. Multi-functional formulations perform and work synergistically to deliver the most efficacious anti-aging skin care available today. 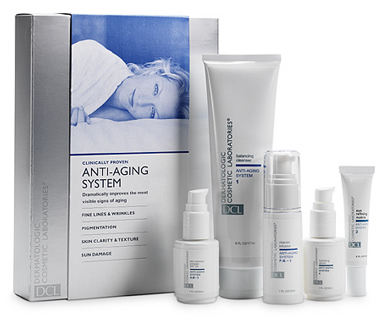 90% of patients tested observed overall improvement of aging effects after using this system for 30 days. A medium potency glycolic acid-based cream formula to relieve rough, dry, thickened skin. A higher potency glycolic acid-based cream formula to relieve rough, dry, thickened skin. Specially formulated for sensitive skin, dry, or damaged skin. Soapless cleanser cleans without drying or irritation. Moisturizes, increases cell turnover, and enhances metabolic activity. Combines a powerful dose of Hyaluronic Acid that is additionally enhanced by Tissue Respiration Factor, which increases cell oxygenation. A triple seaweed blend is added to increase hydration and cell turnover. A combination of 10% Glycolic Acid with Willow herb Extract to mitigate irritation, Green Tea Concentrate, a powerful antioxidant and a SPF 20 with complete broad spectrum UVA/UVB protection. For A.M. use. Antioxidant Complex, UVA/UVB Protection, and water-resistant. A strong combination of antioxidants formulated with Vitamin E Polypeptide to aid in moisturizing and Aloe Powder, Panthenol and Allantoin to soothe exposed skin. Offers complete UVA/UVB protection.